Traditional hummus is a good-for-you food made with chickpeas and heart healthy olive. It's full of nutrients and when eaten in moderation it's a wonderful addition to a healthy diet. 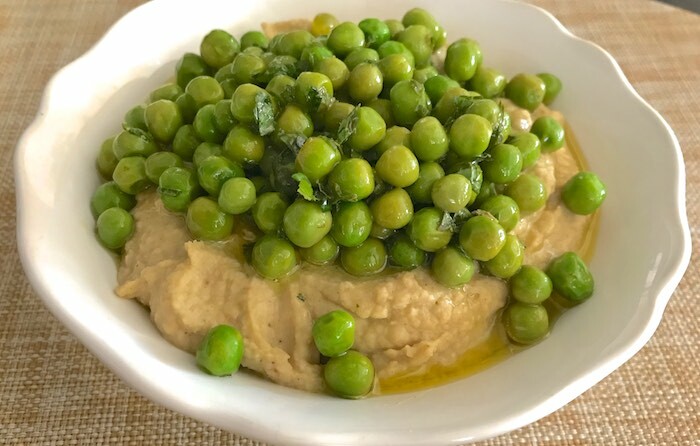 A simple twist that I will often do, is to top hummus with sweet green peas and chopped mint. This provides extra protein and fiber that will keep you feeling full longer. Place first 5 ingredients in a bowl of food processor and process until smooth puree is formed, scraping down sides as necessary, about 30 seconds total. Season to taste with salt and pepper. Transfer hummus to serving bowl, top with peas and mint. Serve immediately.